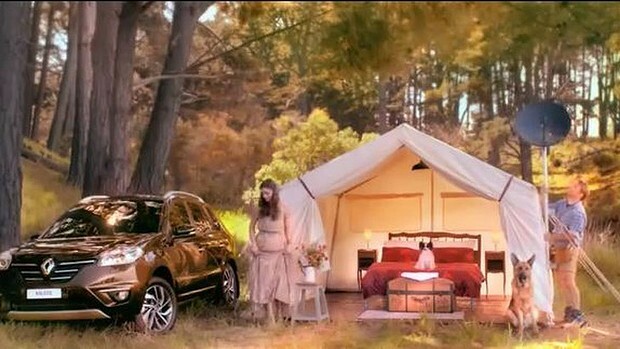 Just when you thought it couldn’t get any worse for sexism, here comes Renault rolling in with their new ad for Koleos which features the tagline: ‘Beautiful meets Capable.’ The video has everyone asking; is there sexism at play here? 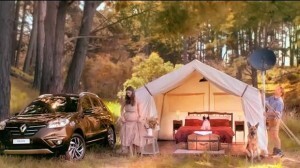 The ad is a short snippet into the life of a couple as they fall in love with the new SUV. The man is indeed capable (he can pick up armchairs, go fishing and drive the car) and the woman is indeed beautiful (she picks flowers, cooks the fish and feeds her man all whilst looking divine). And that’s just it – the sexism here is too easy to spot. It is a classic housewife/working man scenario. However, viewers of the ad who saw the campaign brief have commented that the ad is ‘charming,’ ‘cute’ and ‘funny.’ Thankfully, YouTube viewers are a little bit smarter, with one viewer stating ‘This is so sexist it made me feel physically ill.’ Yep, I agree. You’d think so, yet here we are, still being fed ads and content that feature women as incapable and men as un-beautiful. Have a look at the ad and make your own decision, however I’m betting it will be pretty similar to mine. This entry was posted in News, Opinion and tagged advertising, News, sexism. Bookmark the permalink.